The inaugural conference of the Center for the Study of Men and Masculinities is one sign. The global MenEngage symposium in India was another. 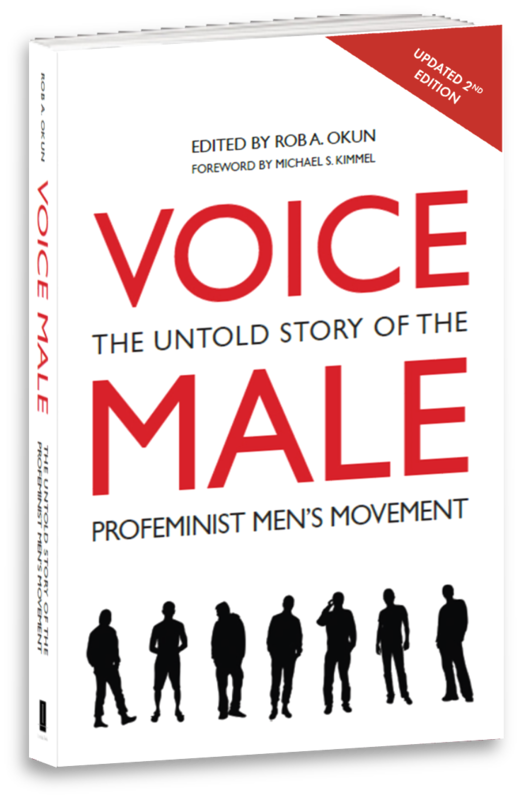 The movement of men promoting women’s rights and men’s transformation is not just growing, it’s linking up in greater numbers than ever before. That two major international gatherings—one in New Delhi, the other in New York—took place within four months of one another is a welcome development. Some 2000 delegates—from every continent on the globe—convened in India in November and the U.S. in March for symposia with similar names: Men and Boys for Gender Justice in Delhi and Men and Boys for Gender Equality in Manhattan. From activists to researchers, NGO staff to independent change agents, the delegates exchanged more than information on the latest studies concerning gender justice and equality. We broke bread and clinked glasses; shared photos of each other’s families; listened carefully to one another’s struggles and triumphs. The political became the personal. For a global gender justice and equality movement to flourish, maintaining and deepening personal relationships across boundaries of language, culture, class and religion is essential. Anecdotal evidence bears out this contention. For as much valuable data and inspiring speeches I read and heard, it’s been the relationships I’ve developed with colleagues who don’t look or sound like me that have moved me to deepen my commitment to gender justice. Our global movement will have the greatest chance to cultivate conditions for a peaceful world if we continue to get to know one another. At the global MenEngage symposium in India I felt those conditions. For five days I was “home”—living with my tribe of 1200 women, men and transgender delegates from 94 countries—putting our shoulders to the wheel of change (see pages 18–19 for photos and our Delhi Declaration and Call to Action). That feeling sustained me even after we’d disbanded and I was alone on an overnight train to Varanasi to speak to gender studies classes at two universities not far from the banks of the holy Ganges River. Voice Male editor Rob Okun in India with Prof. Sanjay Singh (right), and students at Mahatma Gandhi University in Varanasi. The students, two-thirds men and one-third women in one class, the reverse in the other, were uniformly optimistic about changing gender expectations. They are part of an Indian movement putting cracks in a Berlin Wall of oppression that not only prevents women from achieving equality but also threatens their physical safety in their native land—“the world’s largest democracy”—a contradictory nation of creativity and chaos, possibilities and poverty. In the same issue of The Times of India, I read a story on one page quoting a ministry of education official describing advances that promoted women’s equality, and on the next an article about an “honor” killing of a woman by her father and uncle. Her “crime”? Marrying a man from a different caste. In this cycle of hope and despair, I am ever alert for good news. In Varanasi, I got it. Among the delegates in Delhi were contingents from Africa and Latin America. When Benno de Keijzer, a warmhearted Mexican and leading member of Cómplice por la equidad (MenEngage Mexico), learned I’d be in his country in December, he invited me to their meeting in Mexico City. The group was preparing for the fifth Latin American colloquium on men and masculinities in Chile in January, where they were presenting findings from a study they’d conducted on masculinity and violence in Latin America. At the daylong meeting, we decided to collaborate: translating several articles from Voice Male into Spanish and distributing them to the delegates at the gathering in Santiago. Unlike many long meetings I’ve attended in the U.S.—where everyone usually disperses when a meeting ends—after our rich exchange of ideas was over we gathered outside for a leisurely meal on the grounds of Radio Educación at a table laden with homemade Mexican food prepared by several members of the group. Cómplice por la equidad’s Guadalupe (Pita) Cortés served as our host. A producer who’s been at Radio Educación for decades, as we laughed and talked and took photos, she made sure our plates were full. Pita was a presenter in Delhi, describing the long-running program, Entre Hombres (Among Men), which regularly features firstperson accounts of men across all Mexico’s 32 states sharing insights about their growing understanding of their identities as men. As if to underscore the shared commitment among women and men in the global gender justice movement to collaborate, she interviewed me for a segment of Entre Hombres that aired at year’s end (www.entrehombres.net/128-2do-simposio-global-menengageindia-rob-okun-primera-parte/). Our tribe of gender justice advocates may only gather periodically—and, of course, only a fraction of our members in this growing movement are able to attend—but when we go back to our home countries, it’s up to each of us to share the passion and possibilities of a world where women and men work together to redefine manhood and boyhood, fatherhood and brotherhood. May the day come soon when a program called Entre Hombres is renamed Entre Hombres y Mujeres.